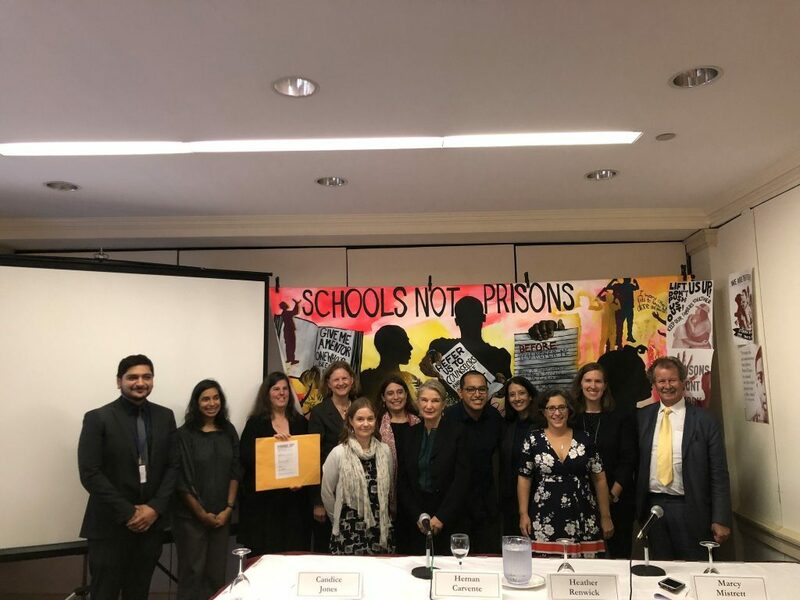 On October 10, 2018, a North American Consultation was held in support of the United Nations Global Study on Children Deprived of Liberty in New York City, United States of America. The consultation was hosted by the Justice Lab at Columbia University. The consultation opened with a presentation by the Independent Expert leading the Global Study, Professor Manfred Nowak, who presented the current status of the Study, underlining the progress that had been made to date, including the more than 80 questionnaires received and the consultations previously held in Asia, Africa, and South Africa. It then opened up to a panel of experts including Melissa Sickmund, Director of the National Center for Juvenile Justice, Candice Jones, President and Chief Executive Officer of the Public Welfare Foundation, former Director of the Illinois Department of Juvenile Justice, Hernan Carvente, National Youth Partnership Strategist, James Bell (by video), Founder and President of the W. Haywood Burns Institute, Heather Renwick, Legal Director of the Campaign for the Fair Sentencing of Youth, Marcy Mistrett, CEO of the Campaign for Youth Justice, Jennifer Nagda, Policy Director, Young Center for Immigrant Children’s Rights at the University of Chicago Law School, and Elizabeth Clarke, from Juvenile Justice Iniciative. The panellists discussed the scale of deprivation of liberty of children in the criminal justice system, including children who are placed in the adult system, in the USA, the harm such detention has on children as well as on their families and communities, and the needs for alternatives. Liz Ryan of Youth First Initiative presented Professor Nowak with data on children deprived of liberty in the administration of justice in the USA on behalf of several non-governmental organisations. The full consultation can be found online here. The newly-appointed High Commissioner for Human Rights, Ms. Michelle Bachelet, addressed the Council for the first time. She highlighted that separating and detaining families offers no long-term solutions to anyone – only more hostility, misery, suffering, and chaos. Several States also showed concern at the increase of migrant children being detained and families being separated. On September 12, 2018, during the Interactive Dialogue with the Working Group on Arbitrary Detention, Mr. Seong-Phil Hong, Chair of the Group, noted that there was an increasing emergence of deprivation of liberty not only in prisons but also in migration centres and medical institutions, including of children. He presented the Working Group’s report on Consular assistance and diplomatic protection for persons deprived of liberty and the linkages between arbitrary detention and instances of torture and ill-treatment. This report includes, in its annex, the revised deliberation No. 5 on deprivation of liberty of migrants. As stated by Hong, this revision reflects changes in international law and jurisprudence during the last 20 years. The International Catholic Child Bureau (BICE) delivered a statement on behalf of the NGO Panel for the Global Study on Children Deprived of Liberty thanking the Group for highlighting that the deprivation of liberty of asylum-seeking, refugee, stateless, and migrant children, including unaccompanied or separated children, is prohibited, and for clearly mentioning the need for alternatives to detention. The NGO Panel also called on States to support the Global Study by providing more quality, disaggregated data on children deprived of liberty and examples of alternatives to detention in their countries as well as by participating in the upcoming consultations and contributing with political and financial support. On September 10, during a side event organised by the Permanent Mission of Liechtenstein and the All Survivors Project on “Hidden Victims: Sexual Violence against Men and Boys in Conflict.” Professor Manfred Nowak noted that boys are also victims of sexual violence when deprived of their liberty. He emphasized that this is an under-reported and taboo topic. According to international law, children should always be separated from adults, but the reality is that they are often detained with adults, and this can exacerbate the of sexual violence between men and boys. As the Independent Expert leading the UN Global Study on Children Deprived of Liberty, he reminded the audience that the Global Study addresses different settings of deprivation of liberty, including in the context of armed conflict and for migration-related reasons. On September 12, at a side event on arbitrary detention organised by the Mexican Commission of Human Rights, cases of people being arbitrarily detained, mostly journalists, politics and civil society members, was discussed. It was highlighted that this is contradictory to international and human rights law. Human Rights Watch reported that, according to their findings, among the people detained in Nicaragua during the demonstrations, 10 were children. On September 19, at a side event organised by the Permanent Mission of Yemen on the human rights situation in the country, the Minister of Human Rights of Yemen said that the situation in the country is very concerning, with Yemenis suffering from all forms of human rights violations. Hundreds of people had been detained, most arbitrarily, and some in secret prisons, including children. On October 10, 2018, the Columbia University’s Justice Lab is going to host a regional consultation for civil society in support of the United Nations Global Study on Children Deprived of Liberty in New York City, United States of America. It will have the presence of the Independent Expert leading the Global Study, Professor Manfred Nowak, and several other experts in juvenile justice, including Melissa Sickmund, Director of the National Center for Juvenile Justice, Candice Jones, President and Chief Executive Officer of the Public Welfare Foundation, former Director of the Illinois Department of Juvenile Justice and Jennifer Nagda, Policy Director, Young Center for Immigrant Children’s Rights at the University of Chicago Law School. The consultation will primarily focus on the deprivation of liberty of children in the administration of justice in the United States. It will address the harms caused to children, families, and communities when children are deprived of their liberty in the juvenile or criminal justice system. The intersection with the detention of children on the basis of their status as a migrant will also be discussed. The aim of this regional consultation is to inform the UN Global Study and increase public awareness. It will provide the latest quantitative and qualitative research on children in conflict with the law in North America. It will also present testimony from youth who have been confined in juvenile justice institutions or criminal justice jails and prisons. 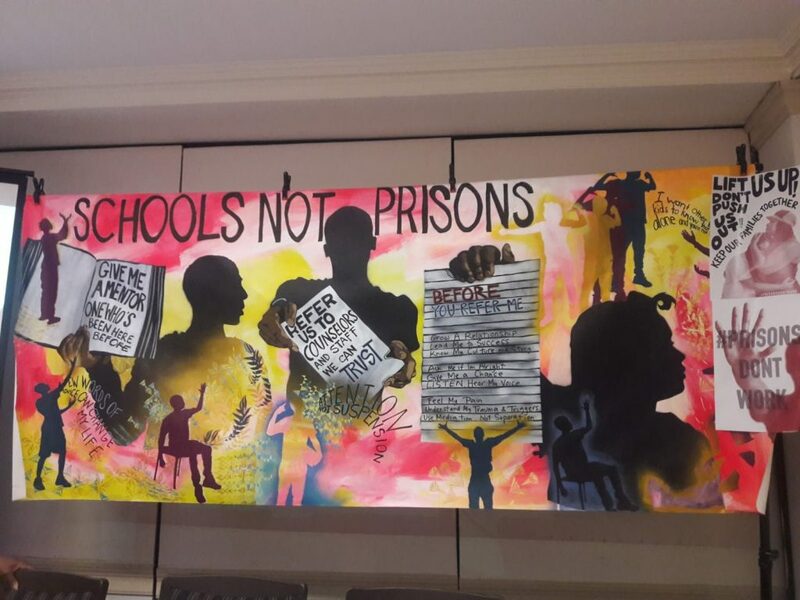 Most importantly, it will present a vision of an alternative justice system that responds to youth in developmentally appropriate and effective ways. If you have any questions, please contact swcommunications@columbia.edu.